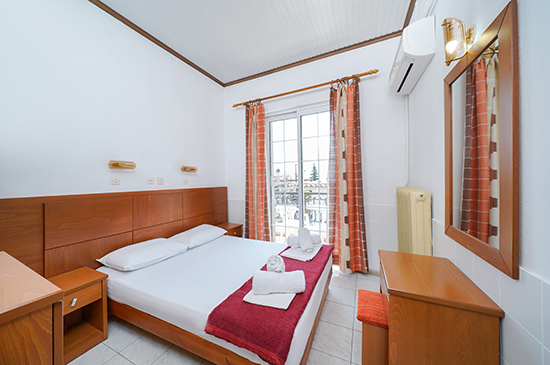 Hotel Elvetia is a budget hotel on Thassos, located in the mountain village of Panagia just a 5 minute drive from Golden Beach. 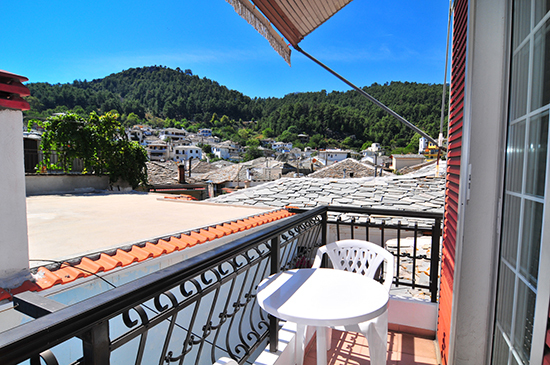 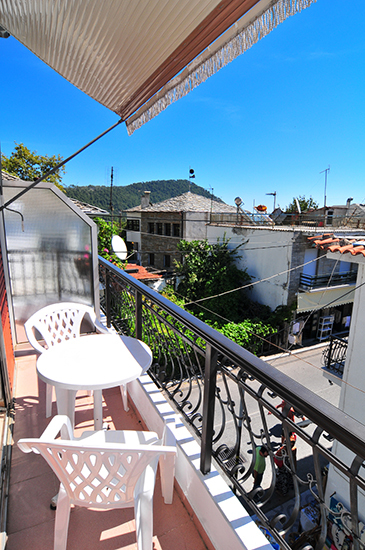 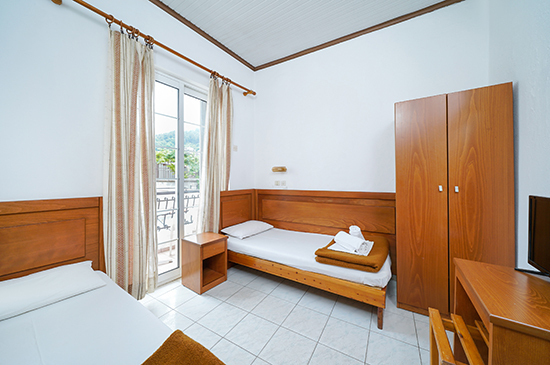 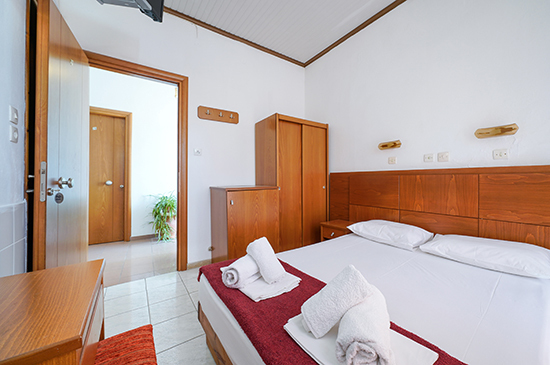 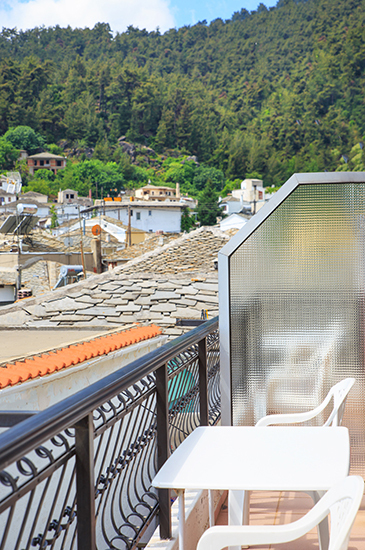 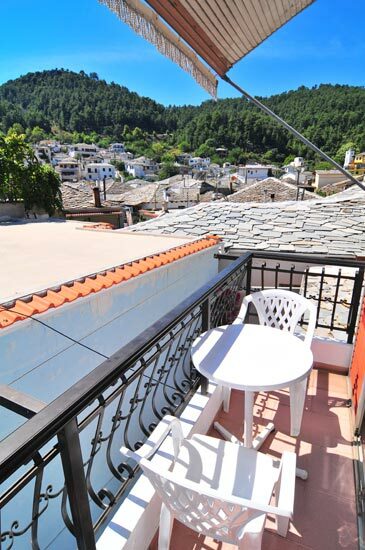 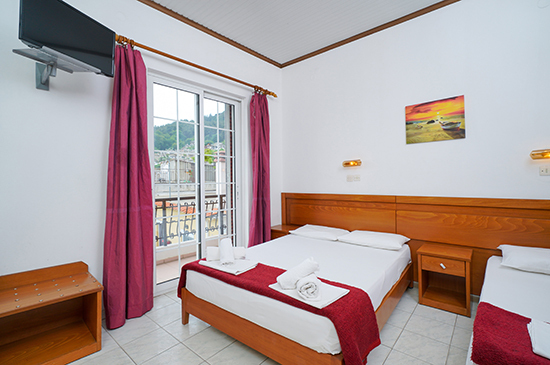 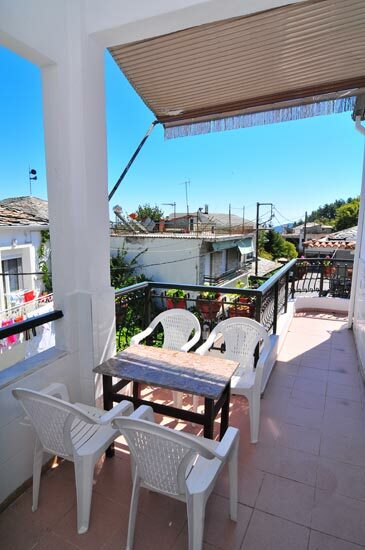 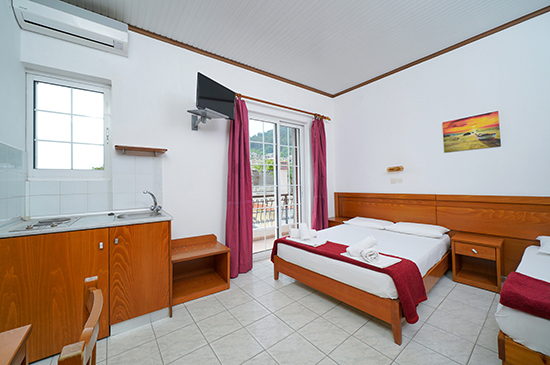 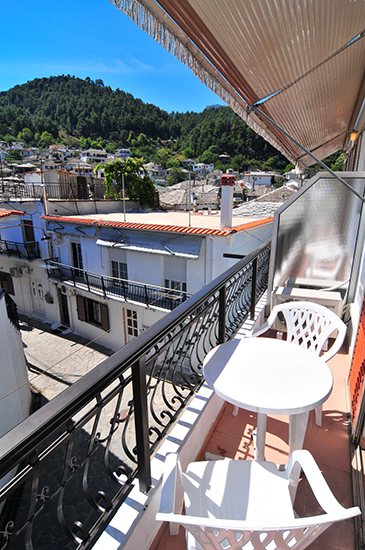 We offer suitable rooms and studios at some of the lowest rates you'll find on Thassos. 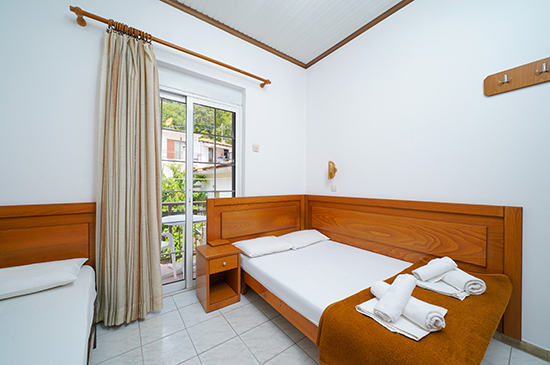 We have 4 rooms and 2 studios that can sleep 2-3 people. 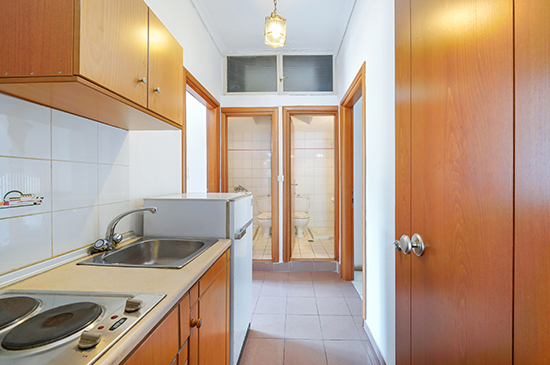 The rooms share a communal kitchen in the hallway while the studios are a bit larger and have their own private kitchenette. 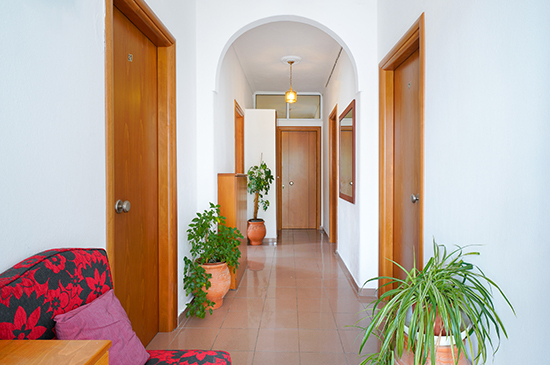 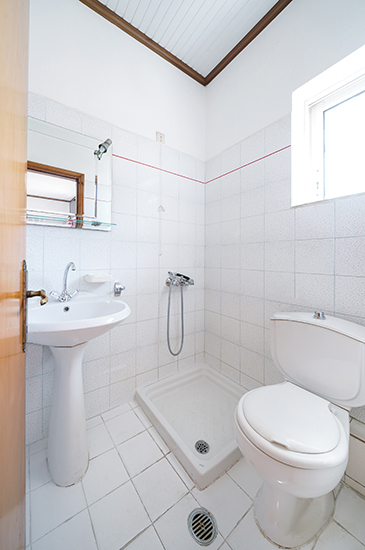 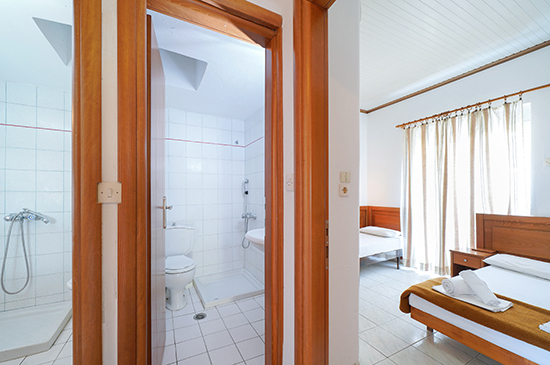 All rooms and studios have a private bathroom, but two of the rooms have external bathrooms accessed via the hallway. 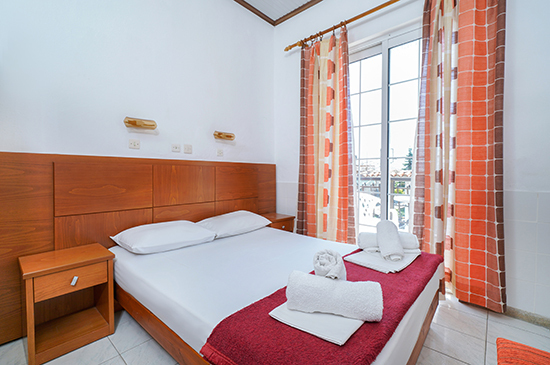 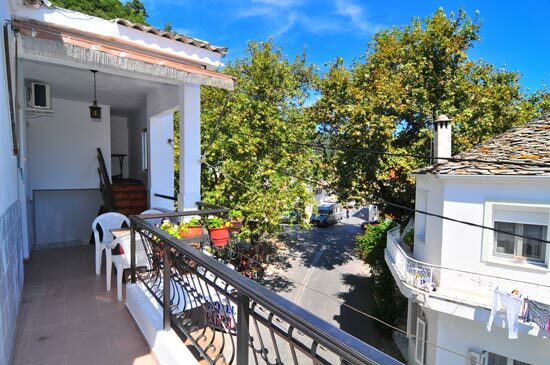 Our rooms and studios have air conditioning, television, and a balcony. 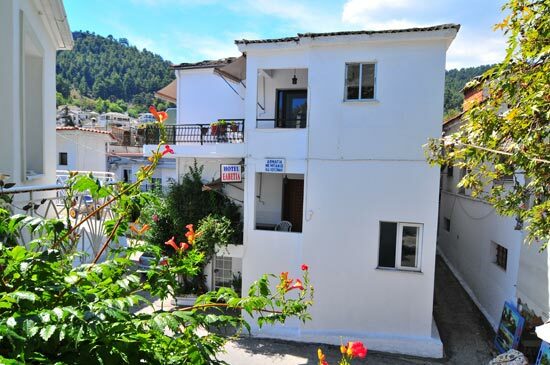 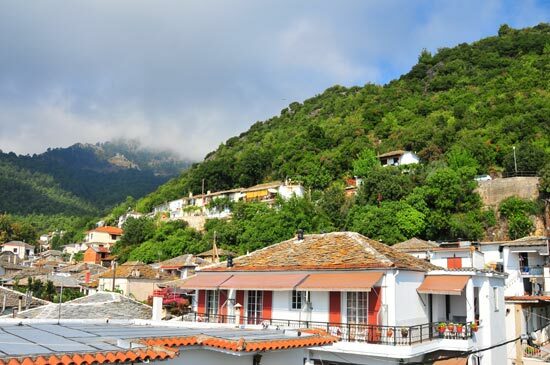 We are located in the center of Panagia, a picturesque and traditional village on Thassos that has a lot to offer its visitors. 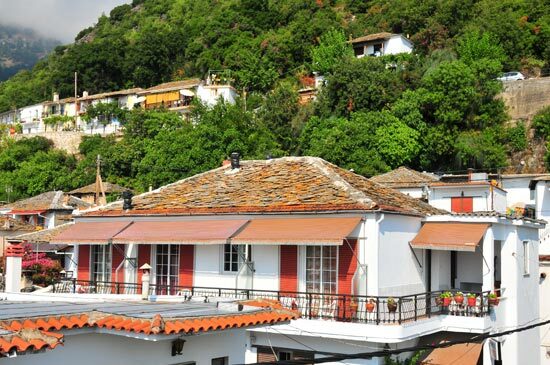 Here you can try delicious local meats and cuisine at the restaurants, go for walks along the mountain paths, enjoy the clean mountain springs that flow abundantly through the canals of the village and appreciate the fresh air and cooler temperatures that bring much relief during the hottest months of the year. 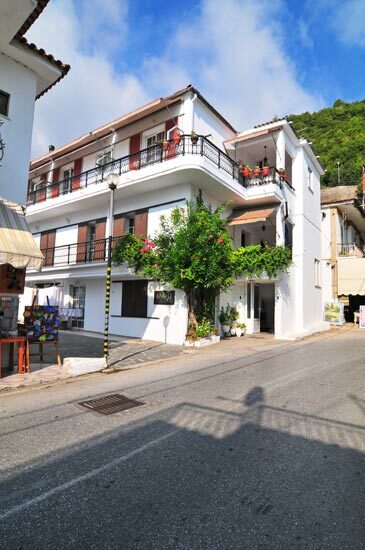 There is a bus stop next to the hotel as well as a car park very close by.